Check out these tips before you hit the not so friendly skies. GrizzleBF gives you some flying tips in Battlefield™ V.
Is the wild blue yonder calling your name? Before you start your new career in aviation you might want to learn the basics. First, if you’d rather stay above the ground instead of crashing into it, you’ll need to understand how to repair your plane. Once you’re damaged, try and get away from enemy fire then hold down the repair button. That’s all there is to it. Keep in mind that you won’t be able to completely restore your health without a quick trip to a Resupply Station. You’ll find these at the edge of the maps. In addition to restoring your health, you can also pick up much-needed ammo. To avoid taking damage in the first place, it pays to know how to evade enemy fighters. Being followed? Try taking your plane into a bank and pulling away from their fire. If you manage the maneuver, they should break off their attack, and if you’re very lucky you might even end up on their tail. Avoiding anti-aircraft emplacements can be a little trickier. If you’re taking fire, try a corkscrew maneuver to increase your distance and speed. And contacting a friendly bomber to drop a few munitions their way can put a quick end to that particular threat. Ready to go on offense? The best way to target enemies on the ground is with a little help from your friends. A Recon buddy can use their flare gun to light up enemy locations, making them easy to spot with your radar. Then just line your plane up for a strafing run, hold down the primary fire button, and watch them fall. 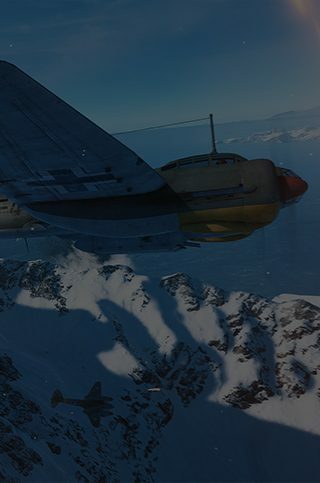 Find out more about the aircraft of Battlefield V here. Have some more questions? Find your answers on our Battlefield V Boot Camp page.